What are the essential components of a secure network? Find out! 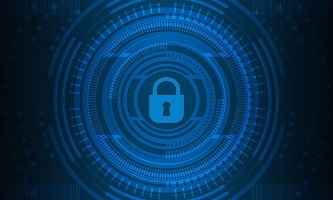 Cybersecurity has become one of the most pressing concerns for businesses of all types, and ensuring that your business is meeting its security needs is essential. Not only do you need to protect your company from damage and loss, but if there is a security event the damage to your company’s appearance can be extremely detrimental. As you’re keeping up with your security system, we have five tips to help keep your security on track. One of the simplest ways to test if your gateway software is performing its duties is to utilize a non-malicious virus or compressed and zipped files to ensure that your system is thoroughly scanning everything that comes through it. You may also want to try a SQL injection attack, which will allow you to guarantee that web interface queries are being caught. While your employees will know better than to access illegal or unsavory content on work computers, it is possible that these items can be reached entirely by accident. This is why creating blocks can be a good idea. Try searching embargoed content to check that your system is running correctly. Using a system that is not connected to the corporate network, and that doesn’t have sensitive or identifying information stored on it, try accessing a website like openphish to check that your firewall will block the page. As applications, software, and operating systems are updated many include security patches and alerts. These are something to keep track of regularly as they can make a huge difference in having your security covered and weak spots in your system. Make sure to follow up on patches and updates for every part of your system. Making sure that your email system is blocking spam, and threatening emails is another way to ensure the safety of your network. To test that this is working you can try blocking a specific file type or domain and then create emails that will if the system works, be rejected. In the case that these emails do go through you will know that your system is in need of updates. This entry was posted on Friday, August 10th, 2018 at 5:37 pm. Both comments and pings are currently closed.